John Rendez&#39;s wish for Nora Aunor: \"Everything that&#39;s taken away from her, I want to give them back to her.\"
John Rendez’s wish for Nora Aunor: "Everything that’s taken away from her, I want to give them back to her." "For me, it’s an honor to be just close to her. She deserves all the respect from people. And everything na nawala sa kanya, she deserves to have them back, three times," says John Rendez about Nora Aunor. Comebacking rap artist John Rendez has laid out the initial steps for a planned recording and release of a new album. This he confirmed in an interview with PEP.ph (Philippine Entertainment Portal) last Friday, September 16. John had a pictorial arranged by his PR-manager Chit Ramos at the Excelsior Condominium in Eastwood, where John’s friend and confidante, Nora Aunor, temporarily stays. This writer had earlier requested a follow-up interview with John and he told us he’d oblige as soon as the prospects for a planned comeback album becomes clear. "This album I’m supposed to be doing now... Actually, I’m going to be re-releasing some of the songs that I did before," he said. The 40-year-old rap artist was referring to his debut album titled Metal Dog he did years ago. Included there are some of his original rap compositions which he wanted rearranged or given some kind of an "update." "It’s something new also," John excitedly told us. "Updating from metal to iron, yung symbolism dati... ’cause I’m twice metal. "Metal metal dog is supposed to be Iron Dog." Aside from acting, the former disc jockey is back to doing one of the things he loves to do most—singing/composing rap songs. "I’ve been known actually for rap, so I wanna go back to my roots," he said. "But not rap per se, as we’ve known before, or the rap that’s going nowadays. "But rap that’s coming from me... you know, my music." How far has John gone in his comebacking "rapping" bid? Jokingly, John said that he has started looking out for some "inspiration." "In the studio, that’s where the magic happens," he smiled. "This is the kind of thing that can be done in a day... or can be done in a year. "It’s the whole process. Just like [doing] a movie." What’s important is that John has planned it out and is surely taking steps towards its realization. "I’m producing it myself... Ate Guy [Nora’s monicker] has got nothing to do with it," he stressed. Meanwhile, John is also preparing for a comeback movie role in El Presidente: The Life of Gen. Emilio Aguinaldo, whose lead actor Jorge "ER" Ejercito, current Laguna Governor, is a friend from way back and has actually insisted on including him in the cast. Nora is cast as ER’s leading lady, taking on the role as Aguinaldo’s second wife, Maria Agoncillo. "I’m still waiting for their call," said John, who isn’t in a hurry, his facial stubble hinting at a moustache, beard and goatie. He has also started working out to shed some excess weight. "MISUNDERSTOOD GUY." In the eyes of the public, the Fil-Am actor-rapper has long moved in the shadows of the superstar-actress whom he’s been associated with for the last two decades. And John wouldn’t go out of his way to correct the (mis)impression. "That’s the impression they get; don’t know why," he stated. "But I’ve never asked, you know... The only thing I’ve done is stick by her side. You know, support her. "I’ve never, like in my career, asked for any help." In interviews, Nora has confirmed the fact that she once got John to appear in a movie she did back in 1991, and it started the association. Unfortunately, while the friendship bloomed, it somehow meant a "downhill trend" of sorts in their respective showbiz careers. John said, "Kung tutuusin, hindi nga ako isinasama sa mga projects niya para walang masabi mga tao. "Even before I met Ate Guy, I was doing it on my own." Has he any personal trouble, in particular, dealing with the so-called "male ego"? Indirectly, John’s response was unexpected as he mimicked the gay speech and mannerisms. "Ay, sana hindi ako naging lalake! Oh, my God!" he stated, laughingly. "Actually I’m [an] alpha male. I’m omega male... [but] there’s no such thing as alpha/omega male... because we’re all human beings. "I have no problems. I’m actually not in competition with anyone." ON BOYET AND MATET. These days, John is happy that his relationship especially with Nora’s children has greatly improved. "So much for the better," he smilingly said. In a previous PEP interview, he told us how he and Ian de Leon (Nora’s son with former husband Christopher de Leon) now relate like brothers. The same goes for John’s cordial ties with one of Nora’s adopted children, Matet de Leon, who has good words now for John. "Natutuwa ako kay Matet... I’m really, really impressed with her. She’s turned out to be a really nice lady," said John. John was simply touched by Matet’s gesture of regularly visiting Ate Guy, together with her whole family (husband Mickey Estrada and daughters Mishka and Mika) every Sunday, almost without letup. "Talagang I have so much respect for her and her husband, who’s such a nice guy." Of Matet, John also shared, "We didn’t like each other before because, of course nga, the conflict. "Medyo out of place ako [and] mali na siya noon... and she was in her rebellious stage. "I’m glad that everything worked well now." Does he bond too with Nora’s family on Sundays? "I say hi, then I go some place else. It’s their family day," noted John. Guy’s other adopted daughter, Lotlot de Leon, and her children by ex-husband Ramon Christopher, reportedly also saw Nora, particularly when the Superstar first arrived from the U.S. on August 2, and before Ate Guy started work on Sa Ngalan Ng Ina, the TV5 mini-serye she’s busy taping these days. John, however, said something to the contrary. "I don’t see her," he said of Lotlot. As for Nora’s ex-husband, Boyet de Leon, John said they haven’t ever talked to each other yet. 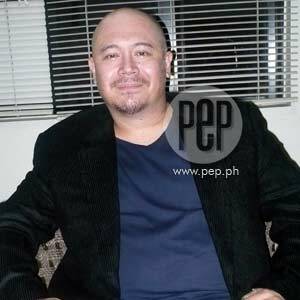 "I have respect for Boyet because he’s such a great actor. He’s somebody in his turf. "But I don’t want to waste the guy’s time," he said. UNCONDITIONAL. As fans continue to adore the Superstar, so does John, who has maintained such high regard for Nora Aunor. But it’s doubly difficult for a person like John whose kind of "adulation" is on a much personal level. "Ako yung dating tinatawag nila na ’super nega,’" John honestly stated, referring to his many detractors. He added, "They put on a dark cloud [on my being]. Nakakaiyak nga, e."
But Nora’s seeming unconditional love and affection persisted. "Hindi niya ako pinabayaan," attested John. "By example, she’s actually a true person. "That’s why she’s a true superstar. She’s not plastic. Marami siyang natulungan na tao. "For me, it’s an honor to be just close to her. "She deserves all the respect from people. "And everything na nawala sa kanya, she deserves to have them back, three times. "Everything that’s taken away from her, I want to give them back to her," John wished. Asked to describe his and Nora’s relationship, at this point, John smilingly said, "I’d like to think it’s... super platonic!"